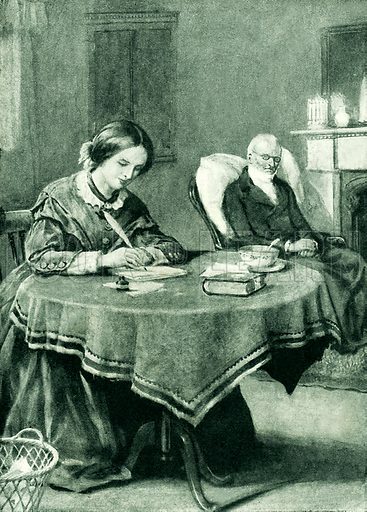 ﻿Charlotte Bronte, born in 1816, was one of three sisters who became famous novelists. Her best known work is Jane Eyre, originally published under the pen-name Currer Bell. Born in Thornton, Yorkshire, she was educated at the Clergy Daughters’ School at Cowan Bridge, Lancashire, which was so poorly maintained, that it contributed to the deaths of Charlotte’s two elder sisters and left her in poor health. Along with her surviving siblings (Branwell, Emily and Anne) she began chronicling the exploits of an imaginary kingdom and the three sisters published a volume of poetry under pen-names.